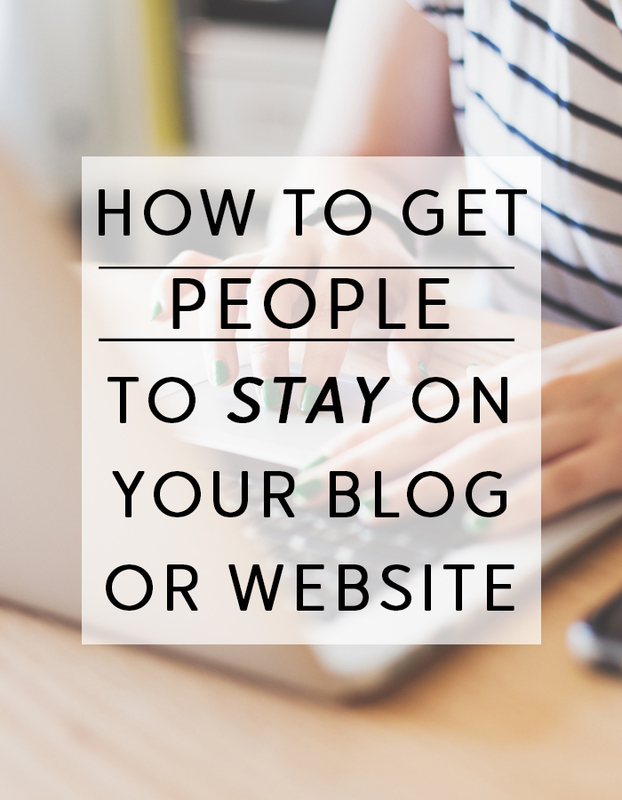 Once you get visitors on your blog it doesn’t help much if they immediately leave. So what are some of the best ways to keep your readers on your website for longer? I’ve shared some of the most important tips below. I can’t stress how important it is to link to other pages on your website through out your posts, sidebar, etc. Reference any posts that fit in with what you’re talking about and make sure to link to related posts at the bottom of each post. Whether you do this manually or have a plug-in or some sort that does it for you, make sure you have somewhere for your visitors to go next (within your site) so they don’t exit out. While it seems pretty obvious, it’s crucial to make sure your website is visually appealing. Not too crowded or overwhelming, well design and styled are just a few things to strive for. A good ratio of texts and images, rather than all images or all text, is something to be conscious of as well. Try to link to your most popular posts in your sidebar! Some blogging platforms will let you do this using a widget of some sort and with some others you might need to do it manually. Either way make sure you are spotlighting your most popular posts so that anyone that ends up on your site can find them as well. It’s something that easily gets overlooked, but make sure you have a search bar that’s easy to find. If a reader if looking for something specific it might be easier to search for it than to navigate through your pages and categories. What makes you stay on a website? Alternatively, what makes you leave a website?